Italian Manufacturer Sweden and Martina’s Magnetic Mallet is an innovative tool for Dental Surgery and Implantology. The magnetic mallet’s main application is in the maxillary sinus for use in bone compaction protocols and vertical and horizontal compaction. It is also useful in cases that call for the use of a surgical hammer. The device exploits electromagnetic impact, which allows an impact force of high intensity and short duration to produce plastic deformation of bone, without propagating the force throughout the whole cranium, as is usually the case with the use of a surgical hammer. This is why the use of Magnetic Mallet prevents the patient developing so-called benign paroxysmal vertiginous syndrome, a type of postoperative dizziness. 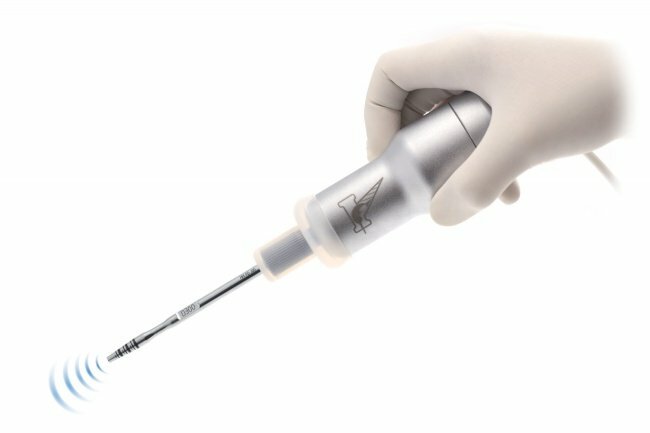 There are 4 different intensity settings for the instrument allowing the surgeon to modulate the pressure according to the type of procedure and bone density, this allows for a greater margin of safety and precision.